Visit Bali Bird Park best best way to see many kind of bird that are endangered throughout Indonesia. Here you will see 250 species of birds from Indonesia, Africa and South America. Beside that you can see types of plants tropic which is amounted to 2.000 species of plants with area about 2 hectares and is supported by excellent facilities and wide variety offered. Bali Bird Park Located on Jl. Serma Cok Ngurah Gambir, Singapadu, Batubulan, Gianyar. This area is very strategic which offer many interesting attractions nearby such as watching Barong dance performances, Craftsman stone, Batik Collection center, Ubud art market, Gold and silver craftsmen. You can explore all of them in one day trip or full day tour. 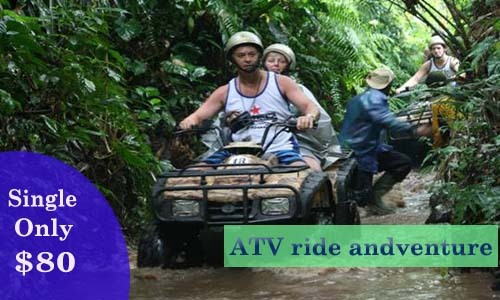 Beside that this area offer lot of Bali activities that you can do to make your day more fun such as Rafting adventure, Cycling tour, Balinese cooking class and ATV or Buggy adventure. 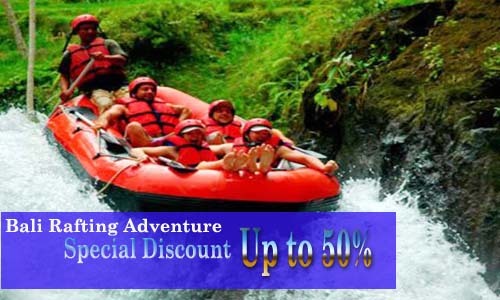 Below is best offer of our Bali combination tour packages that you can choose with your wish which is the tour itinerary has been designed as well as possible. 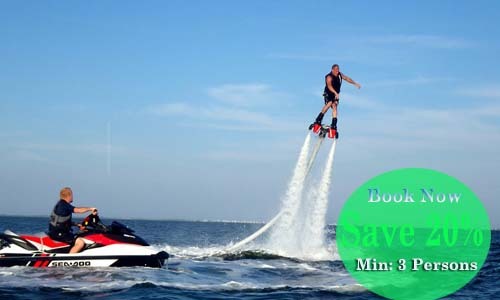 Get special offer for book more than 2 persons for all of water sports activities and save 20% for book Flying board, minimum 3 persons of booking.